C219 recognizes an internal, highly conserved amino acid sequence (VQEALD & VQAALD) found in both Mdr1 and Mdr3 isoforms of P-glycoprotein. The specific binding of the clone C219 was stronger in epitope sequence VQAALD (N-Terminal fragment) than the epitope sequence VQEALD (C-terminal fragmant) (Geoges E., et al., (1990). C219 is not species-specific. 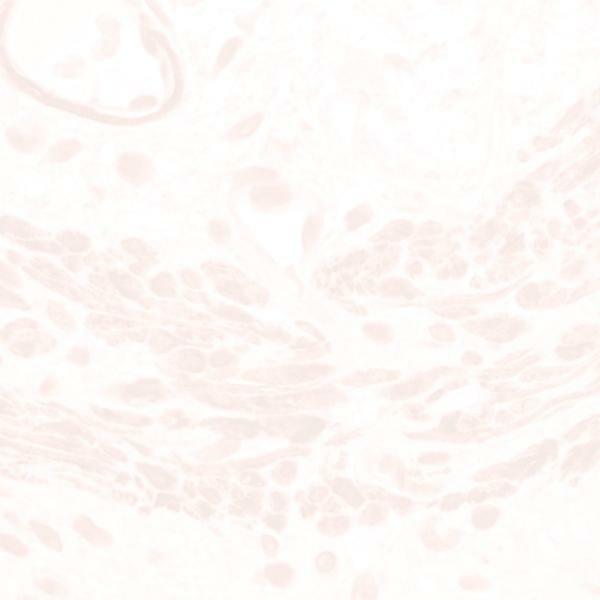 Immunohistochemical analysis of rat and human skeletal and cardiac muscle, as well as immunoblots of cardiac muscle tissue, have shown that C219 cross-reacts with a Mr 200,000 protein which migrates in the same position as myosin. Also, in a recent publication, Liu BL., et al., has reported that the C219 mAB cross-reacts with the c-erbB2 protein (p185 c-erbB2). Care should be taken in the interpretation of true positive P-glycoprotein expression when using myosin-containing tissues or tissues known to have p185 c-erbB2 expression.